In a previous blog post, I highlighted general principles for implementing and scaling systems to support remote monitoring of chronic conditions, namely congestive heart failure (CHF), Diabetes Mellitus (Type II Diabetes) and chronic obstructive pulmonary disease (COPD). In this blog post I will focus on COPD as a case study for the development, implementation and scaling of a remote monitoring system. The World Health Organization (WHO) defines COPD as a “...lung disease characterized by chronic obstruction of lung airflow that interferes with normal breathing and is not fully reversible [...] diagnosis is confirmed by a simple test called spirometry, which measures how deeply a person can breathe and how fast air can move into and out of the lungs.” The Mayo Clinic further adds, "People with COPD are at increased risk of developing heart disease, lung cancer and a variety of other conditions, is caused by long-term exposure to irritating gases or particulate matter, most often from cigarette smoke. COPD is treatable. With proper management, most people with COPD can achieve good symptom control and quality of life, as well as reduced risk of other associated conditions." COPD is treatable, not curable, patients can be managed and the gold measurement standard for COPD is the use of spirometry. 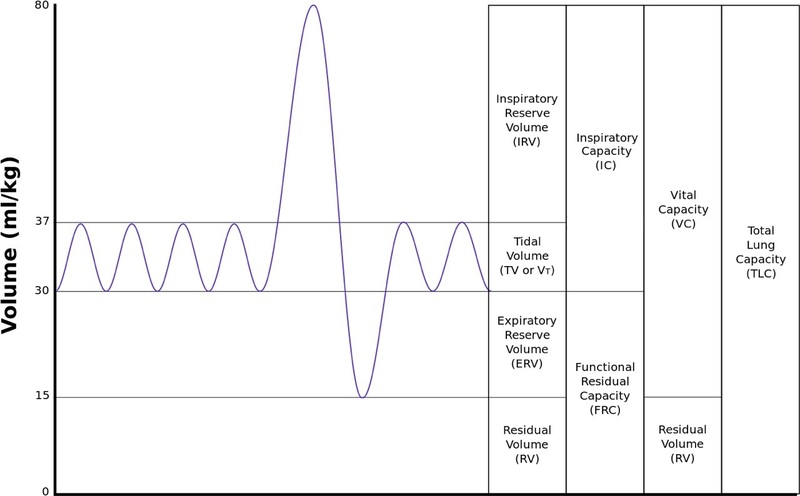 As shown above, normal respiration uses the tidal volume (TV), which averages about 0.5 L of air for both women and men. Expiratory reserve volume (ERV) averages usually between 0.7 and 1.2 L of air for women and men, respectively. ERV is 1.5 to 2.2 times the normal expiration, so forced expiration is needed to fully expire all of the air to the residual volume (RV) as it is not a normal state. Usually a patient needs to be actively coached and encouraged real-time during expiration into the spirometer to ensure that all or most of the TV and ERV in the lungs is forced out to the RV limit in the lungs. In remote monitoring situations, this can drive a system requirement for a real-time interaction with a patient and clinician via video--teleconference appointment to ensure the spirometer measurement is properly taken. Additionally, if a patient has COPD, they are already experiencing episodes of shortness of breath and psychologically might not be inclined to fully exhale to their residual volume. Another physiological measurement that can be used to indirectly determine the quality of respiration and lung function for COPD is the use of pulse oximetry (common acronym is SpO2). Pulse oximetry uses the fact that the four species of hemoglobin (Hb) “namely deoxy-Hb, oxy-Hb, CO-Hb and met-Hb absorb light most efficiently at slightly different wavelengths…Because of arterial pulsatility, light absorbed by perfused tissue consists of both pulsatile and non-pulsatile components. By measuring the absorption ratio between these two components at different wavelengths, the relative amounts of oxy and deoxy hemoglobin (i.e. the fractional saturation of blood) are determined.” (Webster, John G., Editor, The Physiological Measurement Handbook, 2015, CRC Press, pp 431-432). Usually a finger or ear probe is used by the patient and the number displayed by the probe/sensor is a percentage and represents the fractional saturation of blood. SpO2 is considered a very easy sensor to use and usually does not need outside clinical intervention to ensure a fairly accurate measurement, so it lends itself to remote monitoring uses. Moreover, if a patient’s saturation percentage is lower than what is normal for them, they may be at the beginning of an exacerbation of COPD, which can lead to hospitalization. However, there are some limitations to the use of pulse oximetry due to it being an indirect measurement. If a patient is anemic (has a lack of blood cells), they may exhibit a saturation percentage of 100 when in fact they may not be getting enough oxygen to their tissues due to their deficiency of hemoglobin. The only way to establish if a patient is anemic is to do an arterial blood gas (ABG) determination which requires drawing blood and analyzing it in a lab. If the patient is a smoker, they usually have residual amounts of carboxyhoemoglobin (carbon monoxide (CO) saturation of hemoglobin) in their blood which skews the oxygenation reading high as the oximeter generally does not make a distinction between oxyhemoglobin and carboxyhemoglobin saturation. If a patient has poor peripheral perfusion or significant venous pulsation (patients with tricuspid incompetence and venous compensation), the pulse oximeter may have problems reading the pulse and making the comparison between the pulsatile and non-pulsatile readings to compute the absorption ratio. Diabetic patients can have peripheral perfusion issues and many times patients with COPD also have diabetes or CHF (co-morbidities). Motion artifact (which can be exhibited by patients with Parkinson’s disease and/or elderly patients who may have tremors) can also affect the pulse oximeter reading as it may mask or compete with the pulsatile portion of the reading. Most SpO2 vendors have worked to minimize motion artifact in their measurements, nevertheless, it still should be considered when factoring the use of SpO2 as a diagnostic sensor. And finally, at lower ends of the measurement range (between 75 and 82), SpO2 becomes less accurate and tends to read too low. 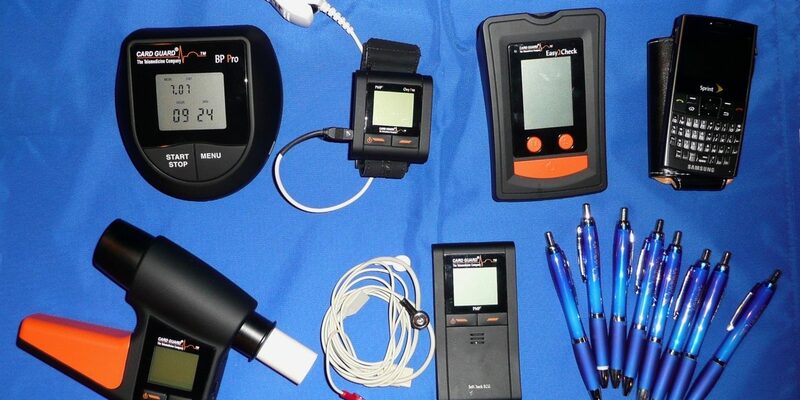 Two large EU remote monitoring projects included COPD patients for which both types of sensor measurements were used; in Renewing Health the clinicians required spirometry to be used for short-term follow-up after a hospital stay while in United4Health (U4H) the clinicians decided to use SpO2 versus spirometry. Renewing Health also had a life-long COPD remote monitoring use case, however, it did not require spirometry nor video-teleconferencing. Remember that in the previous blog post, one of the main issues in being able to implement and scale remote monitoring services was the clinical workflow design and what type of bandwidth was required for that design. In many cases, there was limited telecommunications capability in patients’ homes, so that would have limited their ability to participate in a remote monitoring session if adequate bandwidth is not available for a video teleconference. In fact, when the U4H clinicians were discussing their clinical workflow requirements, they opted not to use spirometry due to these limitations as well as a concern that spirometry might also lead to COPD exacerbation if not properly administered. Again, it is hoped that remote monitoring clinical workflows will minimize COPD hospitalizations due to exacerbations by teaching patients to self-manage their condition as well as provide a more granular set of patient measurements for clinicians to track over time and intervene more quickly if necessary. Using a sensor that might cause an exacerbation and/or require more clinical involvement defeats the purpose of changing the clinical workflow or service. 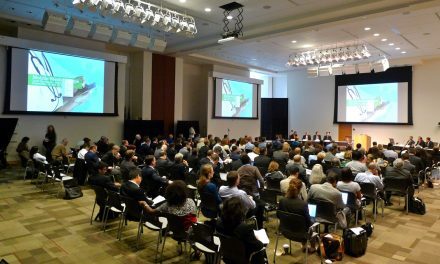 In addition, in order to scale a system, the clinical workflow and design should take into consideration the technological constraints with telecommunications availability and remote sensor capabilities. Interestingly, when the U4H project started, I had a long conversation with a pulmonologist* involved in that project and we discussed the issues involved with the remote monitoring of COPD and the limitation of the use of SpO2. He was aware of those and yet he challenged me as a biomedical engineer to tell him what else was available to him as a sensor that lends itself to uses in remote situations for COPD. I could not answer him. He then came up with a list of things he would like to be measured remotely, namely, at a metabolic or genetic level. Frankly, if an ABG could be done remotely, that might be a better answer, however, with the slow motion implosion of Theranos, the short term prospects for meeting this physician’s remote monitoring sensor desires are fairly non-existent. So, with those limitations of using SpO2 as a remote sensor, what else could be done with the workflow and technology available to enhance or add valuable data to help determine the validity (veracity) of the spirometric reading in remote situations for COPD? In this case, the clinicians in U4H decided to use a standard questionnaire, COPD Assessment Test or CATest, administered daily, weekly or less often based on the protocol. The answers to this questionnaire gave the clinician qualitative information that when combined with the quantitative SpO2 measurement provided a more rich context with which to judge the patient condition and decide upon any interventional action if necessary. The combination of qualitative and quantitative information could be tracked and analyzed and become ‘actionable information’ when certain thresholds were met. Preliminary results of the U4H project have tentatively shown that in most cases, the use of a properly designed remote monitoring service for post hospital discharge due to COPD exacerbation has reduced follow-on admissions and therefore probably reduces clinical costs for the management of COPD patients while also providing a possible increase in the quality of life of the patients. There are two other sidebars that can be briefly discussed that may further the clinical efficiency and efficacy of remote monitoring services. 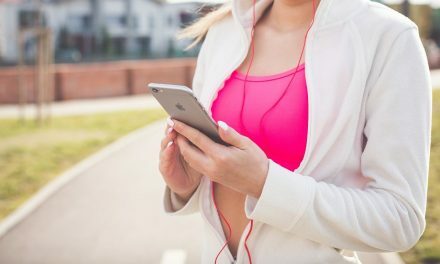 As mentioned above, many patients present with several chronic conditions and would have several other remote sensor measurements and questionnaires they answered for remote monitoring services supporting the other chronic conditions. As the human body is a series of inter-connected physiological systems, many times a deterioration in one system can be reflected in the performance of another system (respiratory and cardiovascular, for example). If a more sophisticated algorithm is used for analyzing more of the sensor and questionnaire information, a better remote monitoring system or telehealth system sensitivity can be developed which might increase the veracity and quality of actionable information for the clinician. Therefore, remote monitoring systems may best serve patients with co-morbidities with their chronic conditions due to more myriad set of data available for analysis by the telehealth system. The discussion regarding better remote sensors is valid one in light of advances we’ve seen with biological research and the Human Genome project in the last ten years. As the delivery of medicine becomes more personalized due to the unlocking of our genetic codes, better diagnoses and prognoses can occur which will also personalize how a telehealth system can be tuned to meet the specific needs of a patient. If a ‘lab on a chip’ can be developed and mass-produced as well as more sensitive sensors which can measure metabolic processes, then the use of indirect measurements along with their known limitations may be used less and become obsolete. These ideas truly divorce the requirement for geographic co-location of the patient and clinician for the delivery of effective healthcare, better fitting the goal of bringing the ‘point-of-care’ to the patient. My next blog post will go into depth regarding the southern Norway telehealth installation for U4H to include and interview with the technical manager of the system. * I would like to thank Dr K.E.Lewis, a pulmonologist with NHS Wales for that particular conversation and for reviewing this blog post. PreviousJoint Commission Allows Texting Orders: Now What?